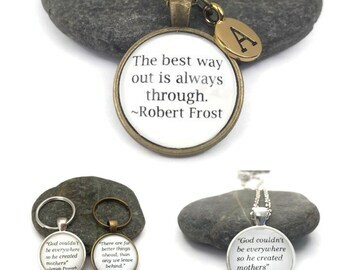 This inspirational quote necklace/keychain features a quote by famed author, C.S. 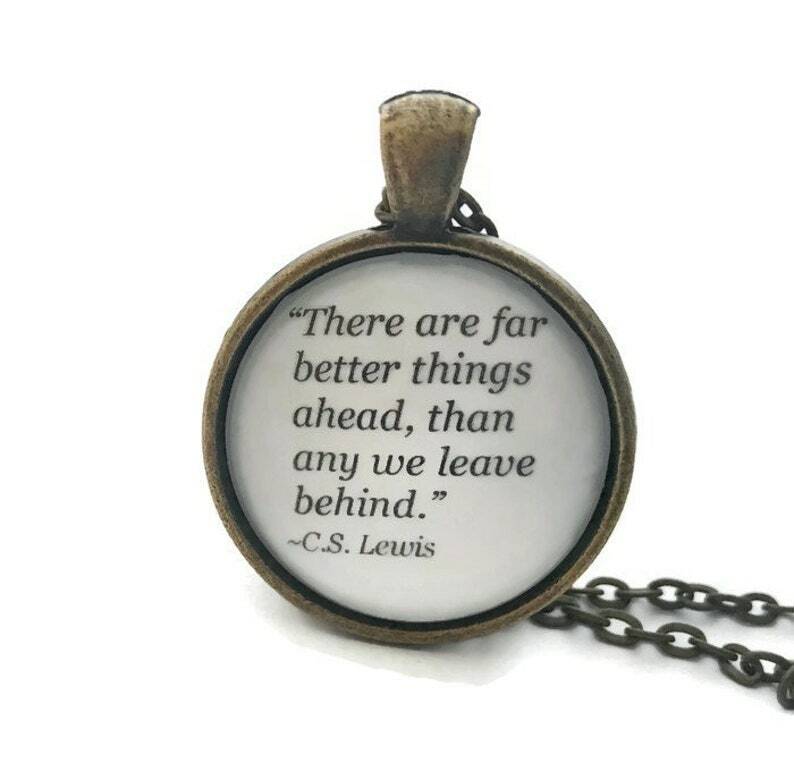 Lewis, "There are far better things ahead than any we leave behind." C.S. Lewis is best known as the writer of the Narnia Chronicles. Necklace can be personalized with an initial charm. The quote necklace is printed on high quality paper and protected by a layer of resin and domed glass. The chain is silver plated (or Bronze) chain and 24" in length (which can be shortened if desired) with an easy to use lobster claw clasp. The pendant is 30mm (slightly more than 1") in diameter. A great idea as a graduation gift! All necklaces are nickel and lead free and come in a pretty organza bag.